Ahoy there Mateys! 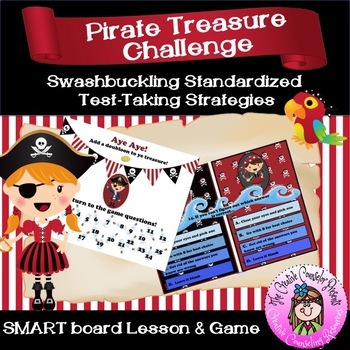 Avast all ye pirates who are about to start standardized testing mayhem! 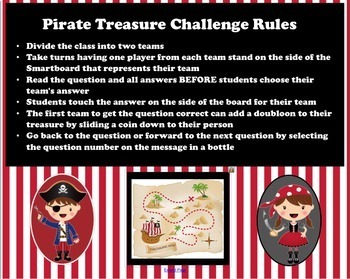 Landlubbers and pirates alike will enjoy playing this Smart board game, Pirate Treasure Challenge! Get your students onboard for standardized testing by playing this game reviewing common test taking strategies. 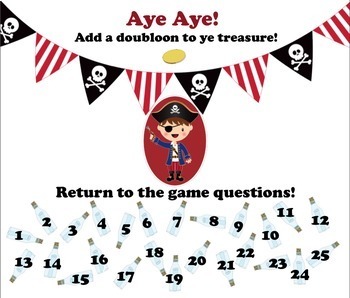 Students will navigate 25 questions about testing to collect doubloons for their team. As questions are answered, spend time discussing how this will help your students do well on the test. 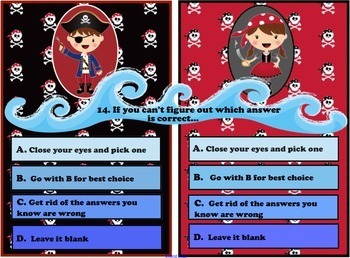 Your crew will be set to sail through testing on calm seas once they learn these tricks. Answer Guide for teacher/counselor is included under attachments (paperclip) on the Smart board file.